Please indicate your name inside the e-mail body. Mr. Rogers will use this for communicating information during the year. You have begun a mental journey to an exciting new territory -- the world of physics. Like mountain climbing the journey takes effort and self discipline but the view can be awesome. Physics is not just a collection of facts. It is the search for the basic principles behind the facts. These principles are often expressed as mathematical equations or models which makes applied physics or engineering amazingly effective for designing and improving equipment. Computers, for example, double in power every 18 months due to the fact that they're designed using applied physics. Your reward for venturing into the world of physics will be a sharper mind and deeper understanding. A teacher can guide students through a complex physics problem merely by asking questions. By learning to ask questions of yourself, you can gain the same level of problem solving skill without having a teacher present. It's called metacognition and is a skill you will acquire. Powerful physics problem solvers also frequently use a type of free association. By learning to associate small hints with a corresponding physics principle, they can often visualize an equation for a problem even before they have fully read it. Again it's a skill that can be learned. In college, physics is generally considered an intellectually challenging course. Correlations between the combined PSAT math and verbal scores with the passing rate in AP Physics bears this out. However, AP Physics Mechanics has an advantage over the equivalent college course in that it takes an entire year to present what would be considered a semester of material in college. This information is common to all of Mr. Rogers' classes. Click here for details. All of the following are maintained by Mr. Rogers and can be reached via links from his teacher homepage. Practice Tests: Self scoring online practice tests complete with explanations of the answers are available for each unit. In addition practice test questions without answers are also available online. You should have no surprises when you take tests. Study Guides: Study guides are available online for each unit. These include the equations you must learn, problem solving tips, important concepts, vocabulary lists, and example problems to help you succeed on tests. Movie Physics: Mr. Rogers maintains a web site with all kinds of movie physics information to assist you in your enrichment assignments. A USB thumb drive or other storage media for maintaining your electronic portfolio of physics assignments.We will attempt to be as close to a paperless classroom as possible. A set of dry erase markers. You will frequently be working problems in class on a white board. A package of 3x5 cards: Starting immediately, each student will, over the course of the year create a set of flash cards to use as a study aid. 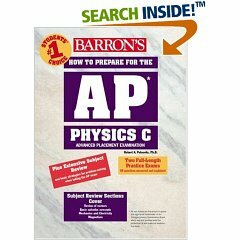 by Princeton Review , $38.07 from Amazon.com, can generally also be purchased locally. If a newer edition is available please buy it instead. Note this book can be used for both years. Grading: (For details see Mr. Rogers' Syllabus - Information Common to All Classes.) Tests will be the single largest item and will be written as close to AP exam standards as possible. Course work will generally be finished in the third quarter leaving the rest of the year for review and various physics investigations (labs). The first semester exam will be taken directly from old AP tests. The exam grade will give you an indication of your standing on the future AP exam in enough time to take corrective action if needed. The fourth quarter grade will consist primarily of practice AP test grades. Generally, there is a high correlation between the practice exams and your grade on the AP test. Group IV Project: All juniors have to participate in a group IV project to meet the school's IB standards. This requires a minimum of 10 hrs of time outside of class and requires a student to design, conduct, and analyze a physics experiment as part of a team. Students must keep a log of their time and turn it in. The project is to be presented as a science fair project with a backboard. Projects deemed worthy will be sent to the regional science fair and earn extra credit. The first day-long meeting to select projects will be held in the Southside Media Center on November 18, 2011. Physics Investigations - Labs: We will be spending a significant part of our instructional time on various forms of practical activities. These will include formal lab write ups, mini-labs (informal write ups), computer simulation labs (Interactive Physics), and a few after school labs. We will also analyze several Hollywood movie scenes in class. Many investigations will be conducted with computerized data collection using a wide range of Vernier Lab equipment, video analysis, and sophisticated devices like air tracks and radio controlled robots. Other labs will use old fashioned meter sticks, stop watches, pendulums, spring scales etc. At least some of the labs will be designed by students. Deliverables from physics investigations will be submitted in electronic form in the AP Physics folder on the students virtual drive. The movie's title and main stars. To analyze movies you will have estimate many of the parameters used in your calculation, often based on the size of objects in the movie. Estimating is a real world skill which is often required for major engineering projects. The analysis is to be submitted via the school's computer network as a computer file one week before the end of each quarter and will count as a lab grade. The file is to be labeled with the movie name and your name and can be either be an a Microsoft Word or Excel file. You cannot master physics by watching Mr. Rogers work problems, hence, you will be going to the front of the classroom and working problems on the white board in groups of 2 on a regular basis. Guided practice of this type is a powerful learning opportunity. In this class you will think physics, talk physics, write physics, and yes at times even help teach physics to your fellow classmates. The Exam will be given on Monday May 12, 2014 at 12:00 pm. You must arrive 30 minutes early. The exam lasts 90 minutes and Consists of two parts: 45 min. for 35 multiple choice questions and 45 min. for three free response. 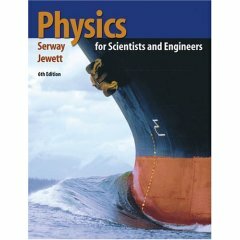 Who Should Take this Class: Students with highly developed algebra skills and an interest in careers related to: engineering, the computer professions, medicine, physics, chemistry, or math. Prerequisites: Honors Physicsand AP Calculus concurrent or math teacher recommendation and parent override. A PSAT score in math of 60 or higher is a strong sign that you have the background needed to succeed in this course, but is not a requirement. Use of Calculus: This course does make significant use of calculus, however, it's limited to relatively simple applications. On the other hand, a high level of skill in algebra is essential. Extra Credit: Your participation in the science fair is the only way to earn significant extra credit in AP Physics, but it has many added benefits. Over the years, Southside students have won thousands of dollars worth of prizes. Some have gone on to the Intel International Science Fair where they've met hundreds of people from around the world including Nobel Laureates. The two Southside students in the picture at right are with Nobel Laureate (Physics) and best selling author Leon Lederman. Following the AP exam, students will still be required to attend class including the day of the semester exam even though students will not be required to take a semester exam if they have taken the AP Test. We will cover IB Physics HL topics in thermodynamics and wave mechanics and perform physics experiments. AP physics students can normally not receive extra credit. The exception is credit for major projects depending on their complexity and quality. A major well done project can receive up to 10 points extra credit in more than one quarter. 10 extra credit points will normally raise a grade by about 2 to 3 percentage points. All extra credit is due one week before the end of the quarter it is counted in. Intel Science Talent Search A completed research paper (similar to a science fair project) must be submitted along with the required forms by Nov 5th. This contest hands out over a million dollars worth of scholarships to about 340 people. It is an excellent opportunity (seniors only). Regional Science Fair: The idea is due by Oct 1st, the experimental work is to be completed before Christmas break, and the total project completed by January 31st. Design and build a significant piece of equipment for use in physics classes.